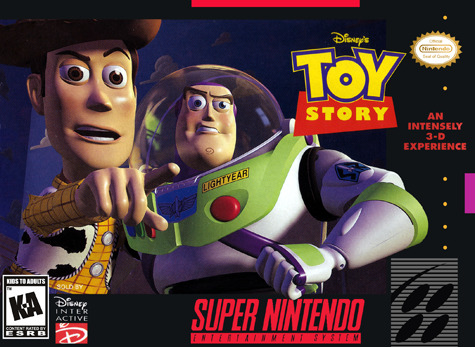 Toy Story for Super Nintendo has you take control of Woody as he tries to save Buzz from the various problems that arise. Each level is based on an event in the movie, so fans of the film will be able to recognize it immediately. The gameplay requires the player to reach the end of each level while overcoming obstacles and destroying enemies, all the while jumping to avoid quick deaths.